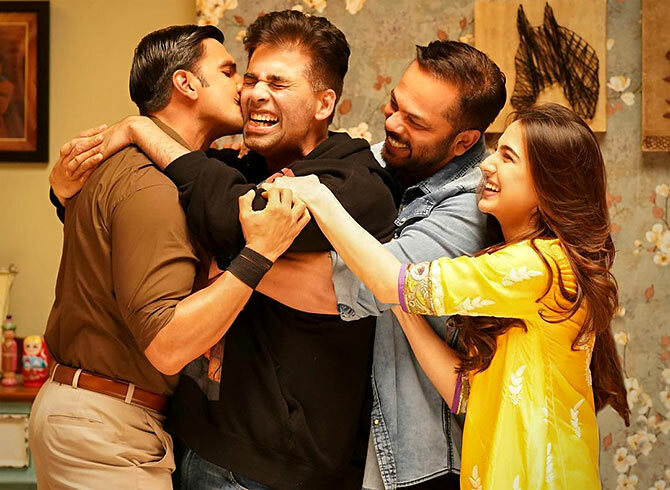 Some fun pictures from the sets of Ranveer Singh-Sara Ali Khan's new film. Right after his second wedding reception on November 28, Ranveer Singh will jump into promotions for his next release Simmba. 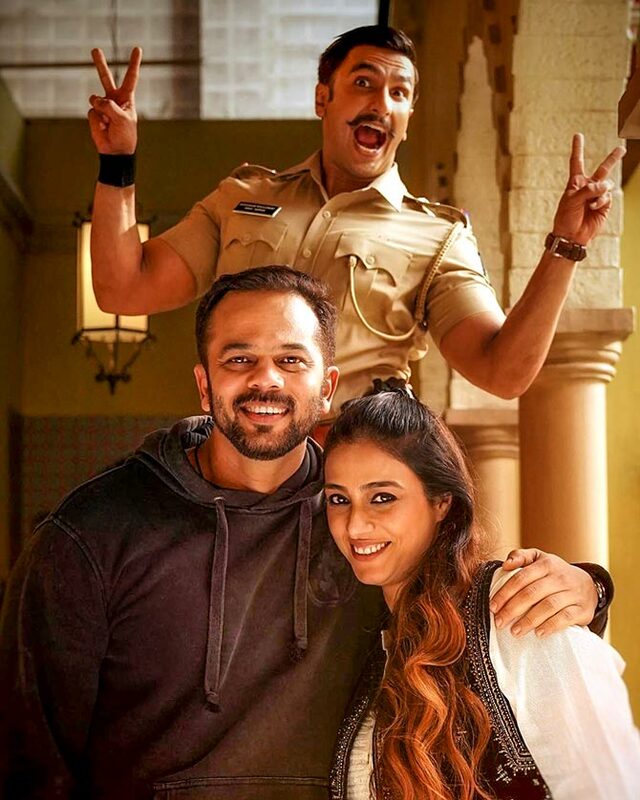 It's the first time the actor has teamed up with hit-maker director Rohit Shetty, and going by the pictures on Instagram, Simmba promises to be a complete masala entertainer. 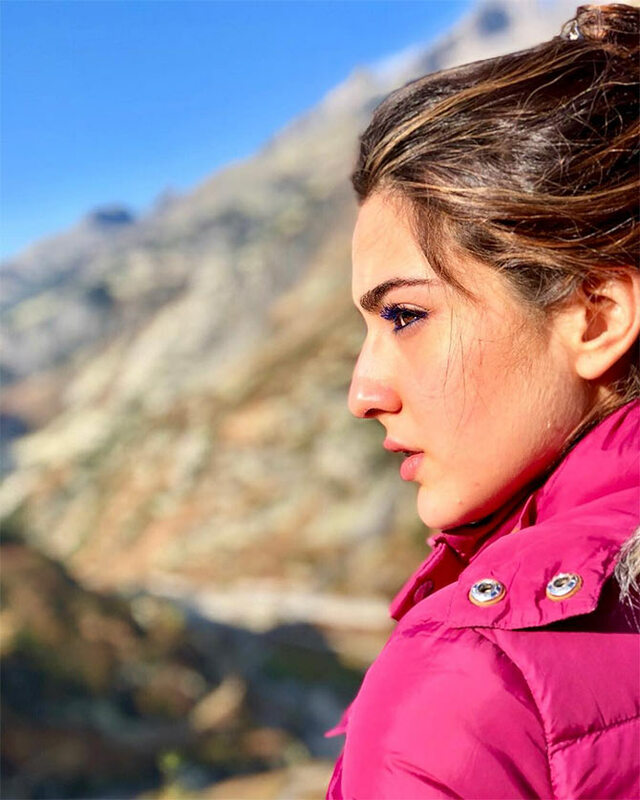 It will be his co-star Sara Ali Khan's second release after Kedarnath, and will hit theatres on December 28. 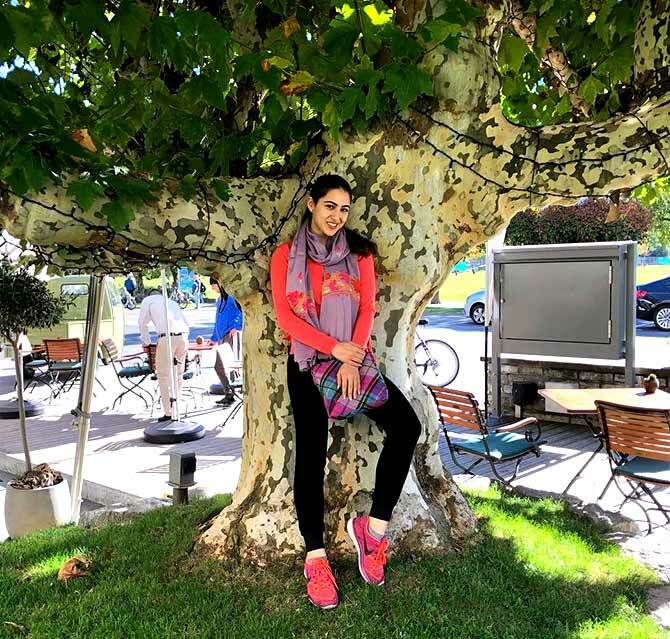 Before you watch the film, Namrata Thakker offers a sneak peek into the action behind the scenes. 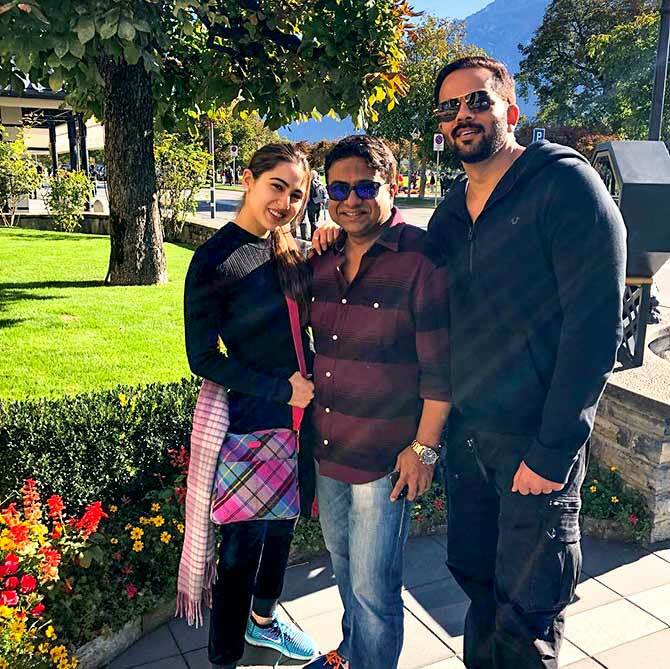 Rohit Shetty, Ranveer Singh, Sara Ali Khan and Karan Johar pose together on the first day of the Simmba shoot. This is the first time Johar has collaborated with Shetty on a film. Meet the new angry young man of Bollywood, Sangram Bhalerao. Ranveer gets into action mode. 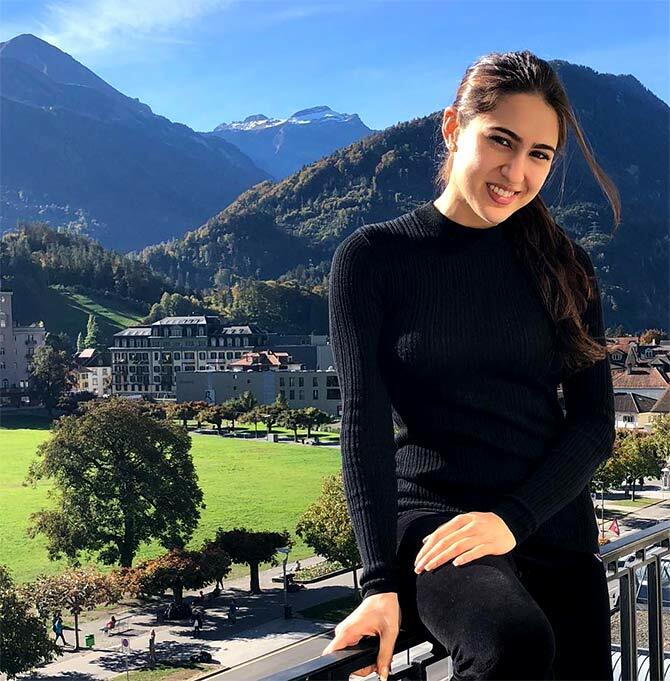 Assistant director, production manager and Simmba's leading lady -- Sara knows how to multitask. Sonu Sood shows off some serious six packs. Ranveer photo bombs as Rohit and Tabu pose for a picture. 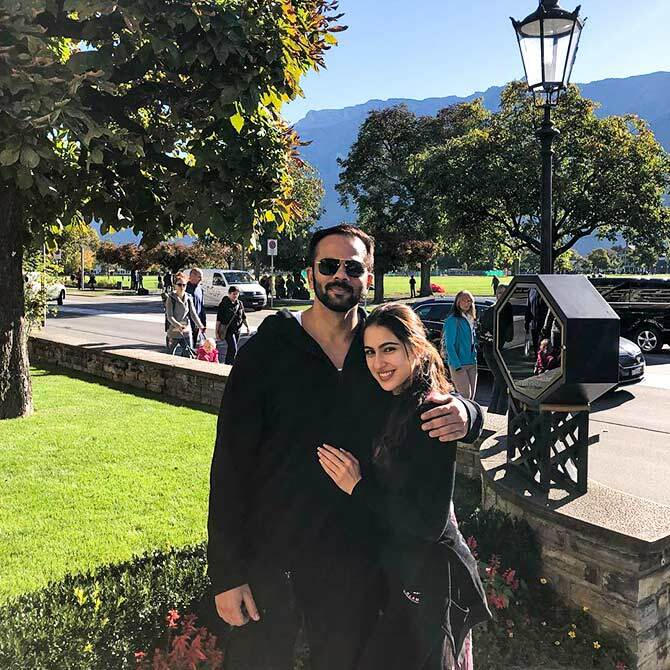 Tabu, who worked with Rohit in Golmaal 4, made a surprise visit on the sets of Simmba. 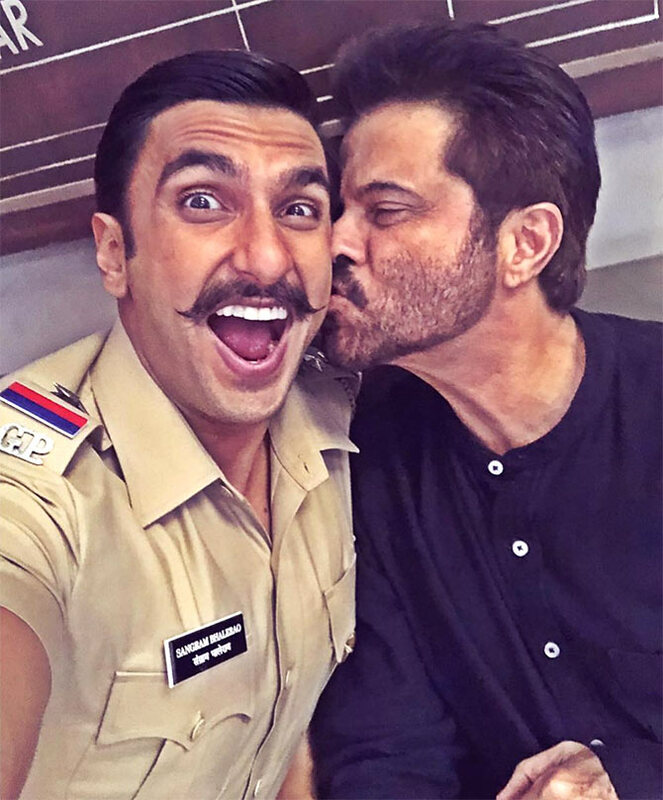 Anil Kapoor and Ranveer's Kodak moment. Wonder what their bro talk is all about. The handsome director and his beautiful leading lady are all smiles in Federer land. 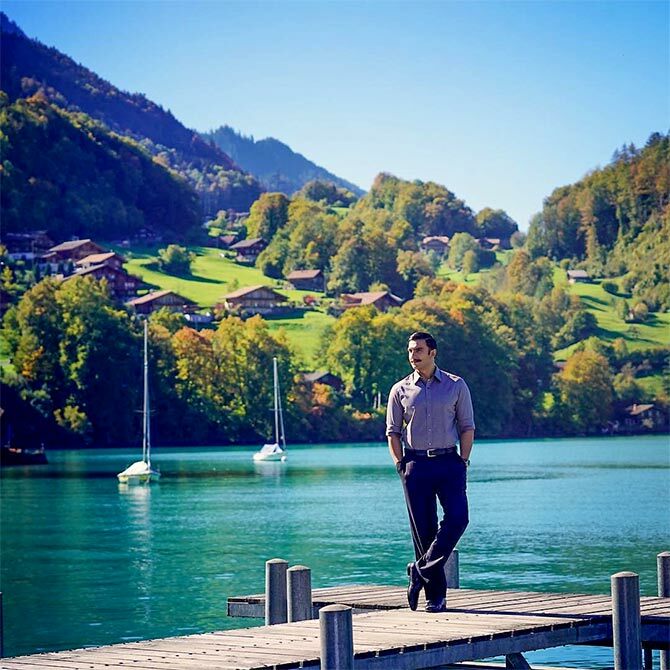 Ranveer poses against the serene backdrop of Switzerland. 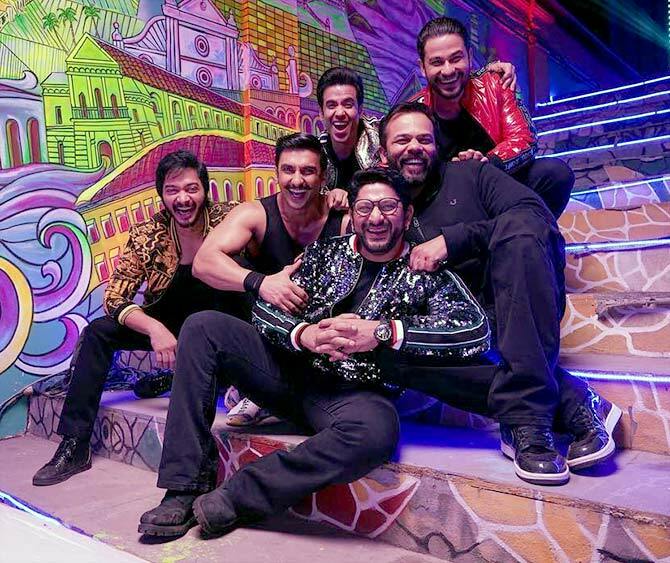 Golmaal boys Shreyas Talpade, Tusshar Kapoor, Kunal Kemmu and Arshad Warsi drop in for some fun with Ranveer and Rohit. And the shoot comes to an end. 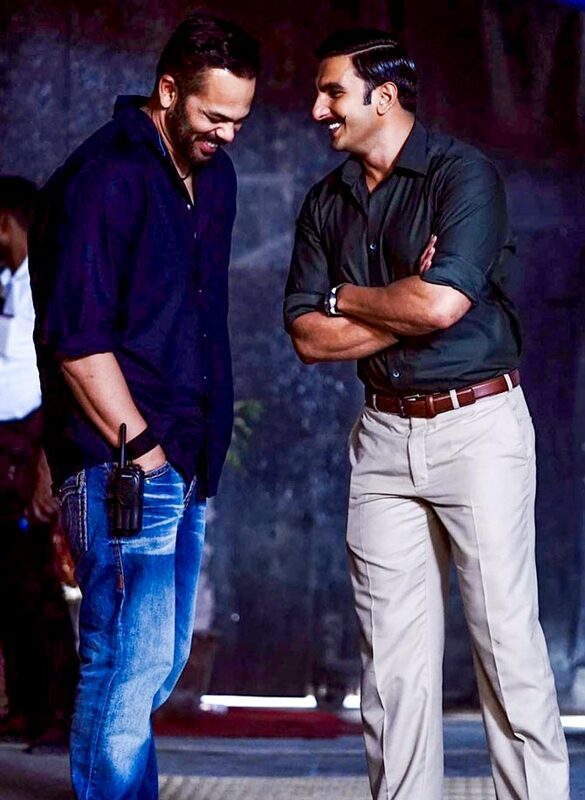 Rohit pens a heartfelt note for Ranveer: '6th June 2018, Exactly 5 Months ago today, the journey of Simmba began and as this adventourous journey ends for our Simmba a.k.a. Sangram Bhalerao, I am filled with mixed emotions. 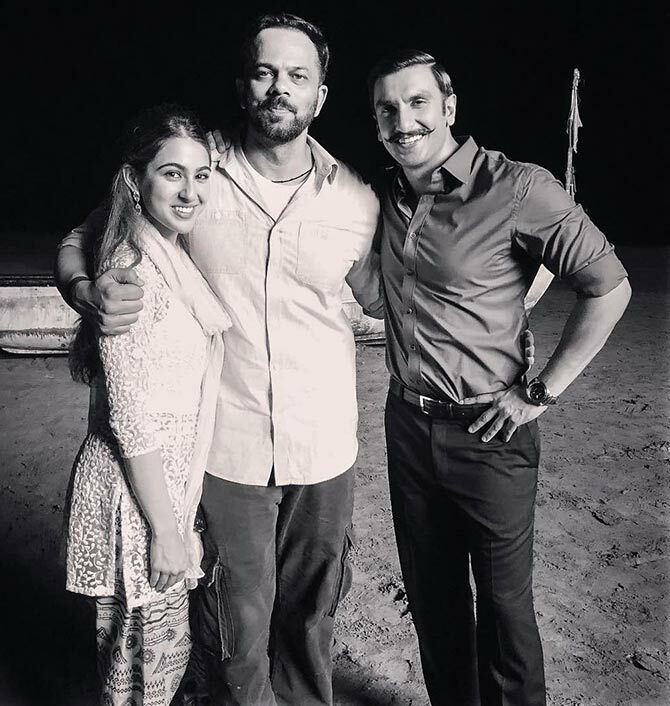 The Simmba trio pose together one last time on the sets of their film.